No doubt: Taylor Swift's makeup and hairstyle always look perfect. She started out with curly hair, which she now wears in a straight, shaggy lob. But her red lips and winged eyeliner have stayed consistent. Let's take a trip down memory lane remembering her best beauty moments. 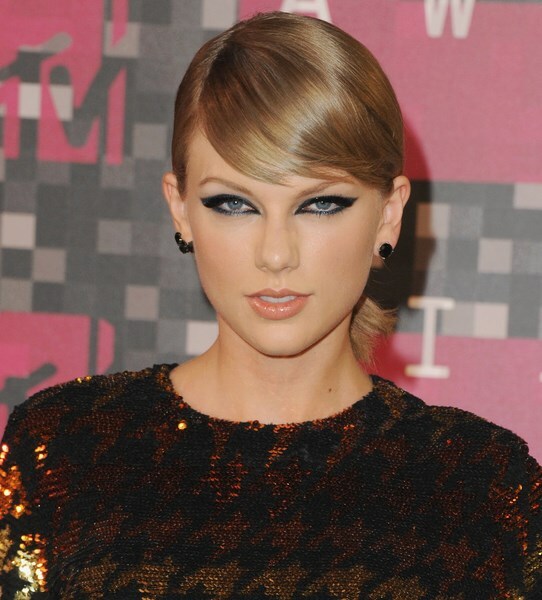 2015: At the MTV Video Music Awards, Taylor rocked mesmerizing, metallic jewel-tone eye makeup, absolutely perfect for New Year's Eve fetes! 2015: Taylor looks like a total rock star with her shaggy haircut at the Billboard Music Awards. 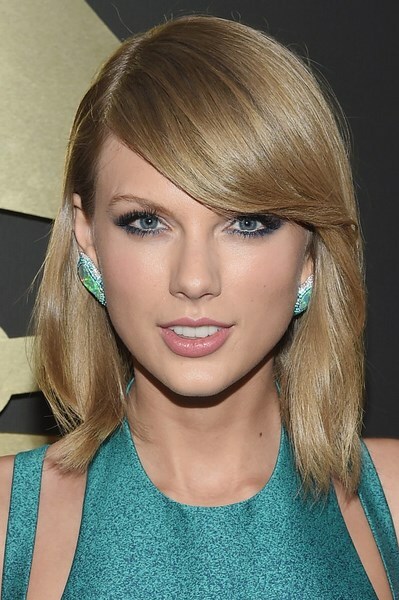 2015: At the Grammy Awards, Taylor made to combine her outfit and accessories with emerald eyeliner. 2014: At the Jingle Bell Ball in London, Taylor opted to smooth out her wavy strands for a sleek look, while her blue eyes were exaggerated by multiple layers of mascara. 2014: Red lipstick, effortless waves and a winged eyeliner look. Taylor stuck with her favorite beauty trio for the 2014 iHeartRadio Music Festival. 2014: At the Grammy Awards, Taylor accented her dress with silver eye makeup and a ponytail looked good from all angles. 2013: She wore a boho-inspired minibraid to the 2013 Grammy Awards, which looked adorable paired with her makeup. 2013: At the 2013 Golden Globe Awards, Taylor opted for a modern take on a vintage updo and her golden hair was pulled back. 2012: Taylor celebrated Z100's Jingle Ball in New York City for 2012. She wore a classic LBD and stuck with her favorite makeup look red lipstick and winged eyeliner. 2012: At the American Music Awards, Taylor opted for a straight-hair updo and went for a bronzed smoky eye and soft pink lipstick. 2012: Taylor worked the 2012 MTV Video Music Awards red carpet in a white suit with a plunging neckline. She stayed true to her red lips and winged liner preferences. 2011: For the 2011 CMT Artists of the Year show, the singer went for one of her signature looks: a fit-and-flare dress, red lips, and winged liquid liner. If you like this article, you might be interested in Taylor Swift: 5 Basic in Taylor's Casual Style .